America’s most famous naturalist, John Muir, was actually born in -- and presumably inspired by -- Scotland, one of the world's most spectacular places. Muir was the driving force behind the establishment of one of the world's first national parks, Yosemite, but it took Muir’s home country slightly longer to catch onto the trend. 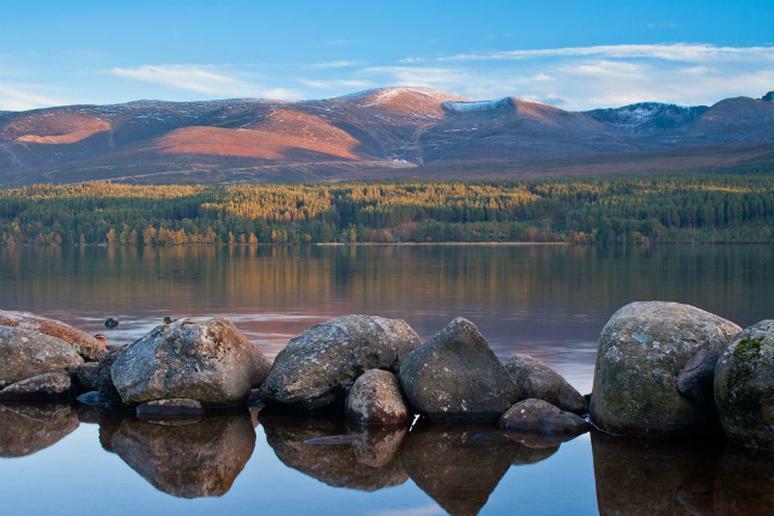 Under the National Parks (Scotland) Act 2000, the country designated its first and only national parks: Cairngorms National Park; and Loch Lomond and The Trossachs National Park. The goal for these areas is four-fold: to conserve and enhance local natural and cultural heritage, promote sustainable use of natural resources, encourage understanding and enjoyment of the “special qualities” of these places, and promote the sustainable economic and social development of local communities. These places showcase some of the most beautiful and well-preserved landscape in the country and are well worth a visit. Cycling enthusiasts will love the variety of both road- and mountain-bike trails in this park. You can challenge yourself on a hilly route or take your family along on a flat, paved path. If you prefer to climb, check out the Arrochar Alps located in the coastal village of Arrochar. There you can find a wide range of summer and winter climbing for people of all experience levels. Visitors can also enjoy canoeing, swimming, waterskiing, and boating on Loch Lomond, the largest body of freshwater in mainland Britain. This park is the largest in the British Isles and home to 25 percent of the threatened bird, animal and plant species in the UK, as well as the Scottish Crossbill—the only bird unique to Britain. If you visit between December and April, you’ll find plenty of winter-weather activities such as skiing and snowboarding on Cairngorm Mountain. Skis, boards and helmets can be rented on site. In the summer, try the 39.8 miles of off-road cycling routes. Two new cross-country routes are also set to open this summer along with the new Mountain Bike Trail Center in Glenlivet. If you're more excited to explore on foot, there are plenty of day hikes, including a route to the top of Ben MacDui, the second highest mountain in the UK.